This Traditional Only for You White Roses N Fruits Basket gives a welcome touch of warmth and softness. 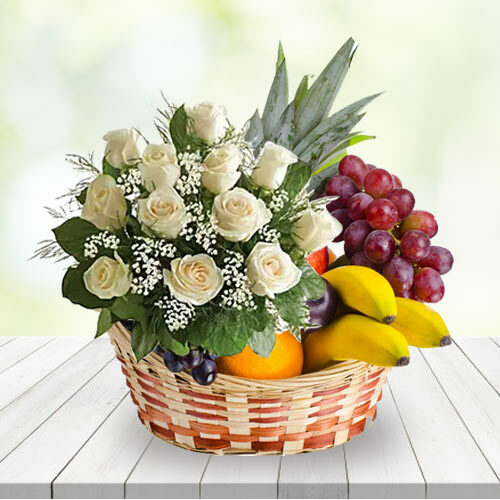 This classy Gift Basket ideal for any occasion holds 1 Kg Fresh Fruits with 12 White Roses. Send this Touching Basket of 1 Kg. Fresh Fruits with Two Dozen White Roses Bunch that paves a wonderful way to show someone you’re thinking of.